The Department of Mathematics has started its journey with one Guest Lecturer faculty member in 2014. The department has only Pass Course and welcomes to have students not only from Tripura but also from the rest of India. The department focuses to promote interdisciplinary teaching and research work. The Undergraduate Programme of Mathematics in Ambedkar College provides comprehensive learning by covering all the important subfields of Mathematics. It aims to provide a strong theoretical grounding and the study equips the students to pursue careers, research in different field of works. 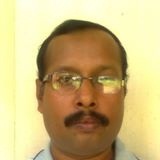 Head of the Department : Mr. Tarun Kumar Debkanungo. Year of Honours Course Introduced : Not introduced yet. Intake Capacity : 20 in Pass Course.